The ensemble $2 Broom is directed by Daniel Grabois, professor of horn. Participation in $2 Broom is open to any School of Music student on any instrument or voice. The group functions mostly as an improvising ensemble, though members may choose to write for the group as well. $2 Broom rehearses in EARS (the Electro-Acoustic Research Space), a new state of the art facility loaded with computers, software, MIDI instruments, and more. Students play their own instruments and learn to use the instruments in EARS. All music is improvised, and in rehearsals students learn how to create a piece of music cooperatively. Typical rehearsals begin with guided improvisations using limiting rules and with free improv exercises. As students become more comfortable at improvisation, the rules tend to vanish and the music-making becomes more intuitive and creative. 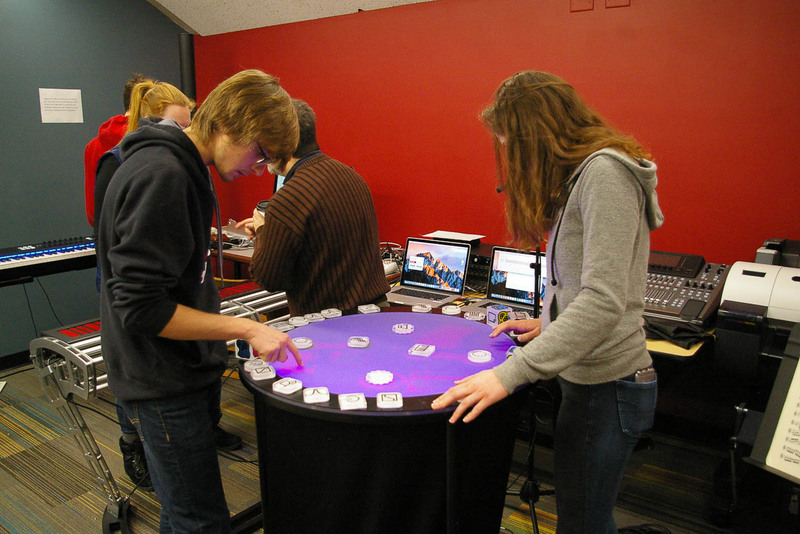 By the end of the semester, students are able to go on stage with no printed music and perform for an hour or more with complete comfort. Computer electronics and hardware pedals in EARS can completely transform the sound each player makes. 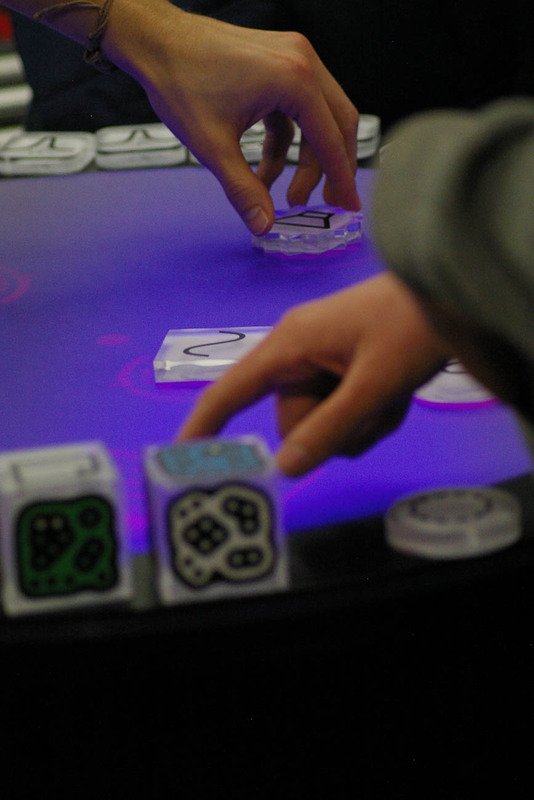 Creating sounds on the Reactable.